A large body of evidence supports the notion that patients with multiple sclerosis (MS) benefit from physical exercise. However, this research-based recommendation has been insufficiently translated into practice. In this commentary article, we highlight the psychological evidence for the intention–behaviour gap and discuss evidence-based recommendations for bridging this gap, with the aim to change behaviour in MS patients. It is accepted that psychological research distinguishes intention formation from intention realization and that these processes have to be considered when the aim is to enhance physical activity in MS patients. We suggest that the transtheoretical model of behaviour change is a useful and general framework for examining the process of intention formation and that a MS-specific perspective is more useful for realizing exercise intention. MS patients are faced with severe self-control demands that hinder the realization of sport and exercise goals. Specifically, MS patients experience fatigue, which imposes substantial self-control demands. Here, we suggest implementation intention as an effective tool that aids in counteracting deficits in intention realization (getting started and staying on track). We also note that research knowledge is not sufficiently translated into clinical practice. Based on an interdisciplinary approach we recommend that therapists of MS patients should be more aware of psychological theories of health behaviour change and that they should use these to improve and optimize treatment approaches. To view enhanced digital features for this article go to https://doi.org/10.6084/m9.figshare.7951937. The last decade has seen a paradigm shift on the topic of physical exercise and multiple sclerosis (MS). The initial concern that exertion might foster exacerbations or that exercise would undermine recovery in a state of chronic inflammation did not receive scientific or clinical support . The “historical” recommendation of advising individuals with MS not to participate regularly in sports is now considered to be outdated. Excellent reviews advocating the merits of exercise for MS patients have been published recently [2, 3]; these have presented sufficient evidence that MS patients benefit from physical exercise. However, most MS experts agree that the majority of MS patients are less active than recommended . Consequently, MS researchers have voiced the need for translational research and implementation scientists (, p. 854). We are in agreement with this call for action and suggest that psychological research on behavioural changes can be the vehicle for such a translation process. It places the perspective on the individual and describes psychological concepts and tools that have proven to be helpful for achieving changes in health behaviour. However, such an approach can only succeed if clinicians apply these concepts, criticize them and vehemently call for adaptations so that knowledge in this line of research is subjected to a continuous improvement process. There are two major perspectives that can be taken to explain the mismatch between recommended and actual activity levels in MS patients. One perspective, which we will outline later in this Commentary, is a disorder-specific perspective that focusses on MS-related symptoms and characteristics. A second perspective highlights a more general problem: people often act against their better judgement when it comes to health behaviour . More generally, research shows that there is gap between a person’s knowledge of the beneficial effects of exercise and the frequency by which that person actually exercises . This intention–behaviour gap is not caused by insufficient evidence but by an ineffective translation of this evidence into practice. Psychological research on this gap is plentiful, and many psychological theories propose that the key factors bridging this gap are special forms of intentions (e.g. implementation intentions ; the Health Action Process Approach ). Health-related goal intentions, such as exercising on a regular basis, need to be formed (first step: goal setting) and then, in a second step, they have to be put into action (goal realization). In order to help MS patients with the first step (i.e. setting exercise goals), it is necessary to address patients’ psychological readiness to the adoption of exercise behaviour in a more precise way than is usually done in present-day clinical practice, i.e. “How far away are patients from the health-related behaviour that the clinicians want them to adopt?” According to the transtheoretical model of behaviour change (TTM) , people progress through different stages when they change behaviour. In the precontemplation stage, people do not intend to take action in the near future; this, for example, is probably the case when MS patients receive their initial diagnosis. In this situation, coping with this severe and life-changing information is likely to be the primary focus of the patient while changing exercise behavior likely has a substantially lower priority. According to the TTM model, these patients have not yet made a decision to exercise and thus are in the precontemplation stage. Tailored interventions for these “preintenders” would consist of information about the risks associated with physical inactivity, the benefits of exercise and motivational cues that improve self-efficacy. People in the contemplation stage intend to change their behavior within the next 6 months. MS patients in this stage are already aware of the benefits of being more physically active, but they are also acutely aware of the negative side effects of such a behavior change. For example, one might be convinced by the empirical evidence on the beneficial effects of physical activity in reducing MS symptoms and at the same time shy away from the unpleasant sensations elicited by exercise and worry about increased motor fatigue. Exercising might be perceived as a strain that is added to an already stressful life situation. For patients in this contemplation stage, an intervention is needed to tilt the balance in favor of exercising by specifically addressing the pros and cons that the patient is concerned with. Negative expectations associated with exercising can, for example, be rebutted by information (exercise does not exacerbate fatigue), and positive aspects can be supported by the social environment (e.g. shared sport experiences). In the preparation stage, people intend to take action in the immediate future and indeed have already taken some action. Such preparatory action might be the purchasing of sportswear or conducting searches on available sports courses. In this phase, patients are almost ready to act and might benefit from some nudging towards goal-directed behavior. These are the patients who should be recruited to exercise and sport programs. They need to be supported during the period required to establish a specific and tailored plan for adopting exercise behavior. Such support could be provided by consultations that include information on the type and intensity of exercise that is medically reasonable and how physical activity fits into the patient´s schedule in the clinic and after discharge. In the action stage, people have already made specific overt modifications in their lifestyle within the past 6 months (e.g. joined a sport club; visited a gym), and in the maintenance stage, the person has already implemented health-related behaviour for > 6 months. As the examples above indicate, the most crucial point in terms of clinical practice is that not all patients benefit from the same intervention. Interventions should be tailored to an individual patient’s current stage. Non-intenders, for example, have to be convinced of the beneficial effects of sport and exercise so that they form an intention to exercise. Intenders (contemplation stage and later stages) profit from help with planning and from social support. Patients who are already physically active need effective strategies of goal shielding and action control to stabilize an active life style. In other words, and as always is the case in clinical practice, a good diagnosis (of the stage of behaviour change) is an indispensable condition for the best—individually tailored or personalized—treatment. In contrast to healthy people, in MS patients this tailoring should take disorder-specific characteristics in consideration. MS patients might exhibit similar difficulties in adopting an active lifestyle as healthy people, but they also differ considerably with regard to at least two points. First, MS patients might be more ready to become intenders than healthy people because they perceive a stronger threat and assign more value to the benefits of physical activity for their health (factors that supports the formation of health intentions are, for example, the Health Belief Model—for a summary see Sheeran et al. ). Second, and most important, MS patients have additional impediments, such as physical disabilities—in particular, walking limitations—that prevent them from becoming physically active. In addition, MS patients may be impaired in terms of prospective memory , which means a reduced ability to remember to carry out actions (e.g. exercising) that are planned for the future. In light of these challenges, the self-regulatory demands MS patients face on their path to being more active are considerably higher than those for people with other chronic diseases and for healthy people. What worsens the situation of MS patients with regard to exercising is that the increased need for self-regulation requires feelings of energy and vitality . However, MS patients often suffer from fatigue , which is exactly the opposite of what is needed. Because fatigue per se renders being physically active more difficult and additionally undermines self-regulatory processes , we first outline the phenomenon of fatigue in the following text and then suggest a psychological approach to overcome the exercise-thwarting effects of fatigue. The prevalence of fatigue in MS patients is estimated to be as high as 90% . Many MS patients regard fatigue as their most disabling symptom , and fatigue is very likely to be a prime reason why patients with MS regularly do not feel inclined to participate in sports or physical activity. Many patients suffer from both cognitive and motor fatigue, whereas others are affected only by one of these components of fatigue . From a psychological viewpoint, fatigue is primarily a subjective phenomenon . To better account for the complexity of fatigue, fatigue and fatigability have been defined differently; the following definition of these two terms is now widely accepted : fatigue refers to a patient’s subjective sensation of fatigue, while fatigability refers to an overt change in performance that can be observed and measured. Fatigability can be physical or cognitive, and different methods currently exist to measure physical fatigability , while other methods have been suggested to measure cognitive fatigability . In the field of rehabilitation, it is still open to discussion which of these phenomena, i.e. the subjective sensation or the objective change in performance, may be more important or more predictive of the course of the disease and of the capacity to keep working. A distinction has been made between effort-dependent fatigability (state component) and a more permanent trait component of fatigue, which is assessed through questionnaires . Both components rely on different neural networks . The pathophysiology of fatigue is only partially understood . A multitude of structural, functional, endocrinological and immunological abnormalities have been reported, but no hypothesis has been unequivocally accepted. For example, structural abnormalities, including lesion load, axonal loss, disconnection, regional or global atrophy , as well as endocrine dysfunction, have been linked to fatigue . Further, compensatory mechanisms and cortical reorganization may contribute to sensations of fatigue. Finally, neurotransmitter dysregulation, dopamine imbalance and the reward system have been suggested to have a critical role in communication between non-motor functions of basal ganglia and the frontal cortex [20, 21], and cytokines and sickness behaviour have also been proposed as being linked to fatigue . The precise mechanisms are far from clear, and several mechanisms might contribute to the pathophysiology of fatigue and interact. Since the pathophysiology is not clear, there is no causal treatment or cure with the exceptions of those cases with secondary fatigue due to sleep disturbances, nocturnal urge incontinence, infection, side effect of medication or other causes of secondary fatigue. The attempts to treat fatigue often consist of avoiding fatigue-inducing medication and treating depression, education, life-style modification, energy conservation, environmental modification and other options are also recommended. When these diverse options were classified into three groups, effect sizes were larger in studies on education and exercising than in those on pharmacological interventions . In light of these divergent and complex interacting mechanisms and treatment options, it is likely that no “one-fits-all” solution exists. To summarize, patients are affected by fatigue in many diverse ways that are very challenging to overcome. Most importantly, with regard to intended exercise behavior, fatigue may not significantly affect intention formation because patients have a high self-interest to do all that is needed to improve their physical and psychological state. However, fatigue may adversely affect the realization of exercise goals. One intervention that supports the realization of exercise goals and therefore directly addresses the core problem facing MS patients is forming implementation intentions . It is a promising psychological strategy whose effectiveness has been shown convincingly across different health domains (e.g. chronic diseases [4, 23]). The formation of implementation intentions is based on a specific form of planning. People plan when, where and how they want to act toward a goal in an if–then format (e.g. “If I encounter situation Y, then I will initiate action Z” or “If I have the choice to use the elevator or the stairs, then I take the stairs” or “If I come home from work on Mondays, then I go for an half an hour walk”). The effectiveness of implementation intentions has been shown convincingly in meta-analyses (e.g. Gollwitzer and Sheeran ), and it has been explained by two processes. First, the mental representation of the situation specified in the “if” part of the format becomes highly accessible and, therefore, people show a heightened perceptual readiness regarding the critical situation (e.g. the stairs cannot be ignored or unlocking the front door on Mondays after work becomes important). Second, the action (taking the stairs/taking a walk) is strongly associated with the mental representation of the situation and can therefore be initiated easily and without requiring further intentional control. The action is initiated automatically and imposes less self-regulatory demands. This notion is supported by current research on endurance performance showing that implementation intentions lead to lower activation levels of the lateral prefrontal cortex areas than do self-regulatory strategies based on effortful, less automated forms of regulation (e.g. forming simple goal intentions) . Thus, we assume that the strained self-regulatory demands that MS patients have to cope with are considerably relieved by implementation intentions. This assumption is supported by research indicating that MS patients can benefit from forming implementation intentions (e.g. Wolff et al. ; Ludwig et al. 26]). This is encouraging, and we strongly recommend extending this line of research with the aim to balance the gap between convincing theoretical assumptions and empirical evidence. We need to know, for example, if and how exactly MS patients can use implementation intentions to achieve their exercise goals. This research gap is particularly puzzling because teaching how to form implementation intentions that are tailored to a patient’s individual needs can be implemented with relative ease into neurorehabilitation and can be utilized easily after discharge at home. Action planning should be complemented by coping planning (Health Action Process Approach ), which specifies a concrete action when barriers occur (“If barrier X occurs, then I will do Y”). For MS patients, these barriers are often associated with fatigue (feeling tired, exhausted). Identifying these barriers (“If I feel tired after work on Mondays …”) and specifying concrete actions (“… then I remind myself of how good I felt after the last walk and use this feeling to motivate myself”) shield the exercise goal from temptations (e.g. relaxing in front of the TV). Thus, the MS-specific problem of fatigue can be used effectively as part of a solution to overcome physical inactivity. To summarize, planning processes can assist MS patients in the action stage as well as in the maintenance stage to guarantee long-term exercise behaviour that extends beyond the hospital stay. We propose that MS patients may benefit from more practical evidence and personal experience of the beneficial effects of exercise because such evidence may help tilt their decision in favour of exercising when they are in the early phases of behaviour change. MS and rehabilitation centres are particularly challenged to provide this information and to organize group sessions and seminars for patients to exchange their personal views and experiences. As the title of the Commentary somewhat provocatively suggests—knowing is not enough. The primary focus of research on and treatment and counselling of MS patients should shift from analysing the effects of exercise on these patients to the specific difficulties faced by these patients in “translating evidence into practice” (, p 851). As we have outlined above, MS patients share some difficulties with healthy people (lack of intention formation, deficits in self-regulation), but also suffer from disorder-specific challenges (e.g. high self-control demands worsened by fatigue); both sets of difficulties can be addressed by psychological strategies. While we report that there is an insufficient translation of evidence into clinical practice, there may be an additional institutional and organizational gap between clinical medicine and psychology. In this perspective we argue that, in order to reduce the “disconnect between the evidence and levels of participation in physical activity” (, p 851), MS clinicians should utilize established theoretical concepts and tools from psychology that specifically focus on initiating changes in health behaviour. The clinical knowledge of MS clinicians may, in turn, facilitate the development of research knowledge by answering research questions that are specific for MS patients, such as with regard to difficulties in intention formation (e.g. “How does cognitive fatigue influence goal setting?” “What are the best techniques to induce a shift in the subjective perception of fatigue and to overcome its detrimental effects?”) (compare Strober et al. ) as well as to intention realization (e.g. 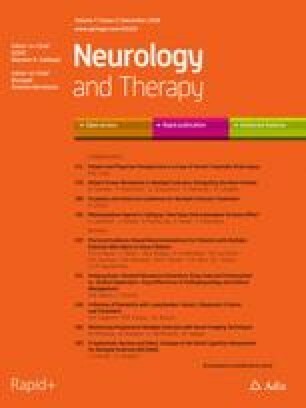 “Do implementation intentions exert their effect via the same mechanisms in MS patients and in healthy people?”). As such, the vehicle that links research with clinical practice keeps on going and constitutes an ongoing process of improvement. No funding or sponsorship was received for this commentary article or publication of this article. The article processing charges were funded by the university of the first author (University of Konstanz). Julia Schüler, Wanja Wolff, and Christian Dettmers have nothing to declare. There are no data associated with this article.